It’s been a battle in the making for many years. 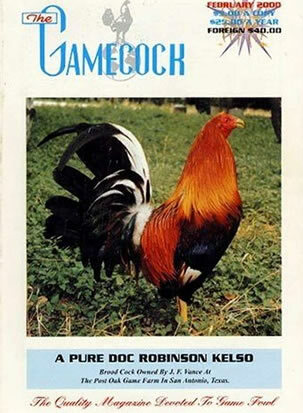 The fight involves the Humane Society of the United States and Amazon.com, and the fight is over Amazon selling cockfighting magazines such as The Feathered Warrior and The Gamecock. In July 2005, the HSUS sent a letter to the CEO of Amazon alerting of the violations to the federal law that the magazines’ sales represented and requested that the magazines be removed from their website. HSUS said there was no response from Amazon. After a year, the HSUS contacted Amazon again saying that they would commence civil action against Amazon for the continued sale of the cockfighting magazines. The lawsuit was based on legal grounds: the federal Animal Welfare Act expressly and specifically prohibits use of the U.S. mail service for “promoting” or “in any other manner furthering” animal fighting. Amazon’s response: they were protected by the First Amendment. The HSUS says that: “Amazon’s animal fighting materials are far more than an exchange of ideas; they are active solicitations for violent criminal activity, with the express purpose of promoting and furthering illegal animal fighting.” HSUS also says that the sale of these magazines is against the Animal Fighting Prohibition Enforcement Act of 2007 that President Bush signed in May. Currently, Amazon.com is the only online venue for these cockfighting magazines. This entry was posted on Friday, June 8th, 2007 at 3:48 am	and is filed under Other Pets, National Dog, Cat & Pet Info, News for Cats, Dogs & Owners. You can follow any responses to this entry through the RSS 2.0 feed. Both comments and pings are currently closed. I was a member of the Amazon book program (those icons you see on websites and blogs directing you to a particular book). I deleted these and cancelled my membership. I told them why. I’m also getting ready to contact others with these book links and ask them to cancel with Amazon and explain why. If enough of us shun Amazon perhaps we can get their attention. Well Amazon lurkers, and I know they too will be reading this. People are going to boycott you too. Shame on you, GREED and Money thats all you know. The word will get out and just think of how many pet lovers are out there that buy from Amazon. These magazines are trash. Stop hiding behind the First Amendment. I haven’t purchased anything from Amazon in a while, but was thinking of it until I read this story. What losers they are going to be, especially to pet lovers once this makes the rounds. I used to be a huge Amazon shopper. Hundreds, sometimes thousands of dollars a year - books, magazines, electronics, all my Christmas shopping. I also bought a lot of items for the companies I work for from them. When HSUS first started the lawsuit against them, it was the first I’d heard of it. I did the research and found out it was true, then I called Amazon and emailed them and asked them to cancel my account, politely explaining exactly why it was I was leaving. They replied with a form letter. Closed my account and haven’t spent a dime there since. Associates account - I will cancel that if no action will be taken by amazon.com to stop promoting animal fighting. I am shocked, and I have just left a very strongly worded email with Amazon advising them I will no longer do business with them until this situation is rectified. I am also going to start an email campaign to everyone I know advising them of this horrific situation. No amount of profit is worth this lack of judgment and compassion. I just read that you actually sell magazines that glorify and encourage cockfighting, ie. “The Gamecock” . I don’t even have to go into why this is horrifying. I will never, ever buy anything from Amazon.com again. I will make sure that all of my friends and relatives know about this, as well as my customers, who are all animal lovers and have LOTS OF MONEY and probably frequent you website often. I doubt they will spend a single penny on your website ever again. You can take the free speech argument and shove it where the sun does not shine. Just because someone CAN say something, does not mean that you have to help them say it. I hope that whomever decided that it was OK for Amazon to carry this disgusting trash has to watch one of their pets get mutilated for sport. Not that someone that owned a pet, or even had a soul, for that matter, would actually make money off of selling something this sick.